VIPAccessEXCLUSIVE: Jake Miller Interview With Alexisjoyvipaccess At The Childhelp Hollywood Heroes Benefit Event! There are two words to describe the remarkable Jake Miller: music sensation! It goes without saying that the stupendous Jake Miller causes a pandemonium everywhere and anywhere he goes and he truly has made his mark in the entertainment world. With his great charm and charisma and his super catchy songs that make everyone’s heart skip a beat, it’s clear to see why everyone is proud to call themselves a big fan of Jake Miller. The outstanding Jake Miller is, hands down, one of the most hardworking individuals in the industry. For several years now, he has been creating music masterpieces that sweep fans off of their feet. Not only is Jake Miller a stellar singer and musician, but he also happens to write and produce his own music as well. With every project that he works on, Jake Miller’s dedication and passion for his music is always evident. After just recently signing with Sony Records this past summer, Jake Miller has been continuing to get fans extra excited with all of the amazing, new music he has in store. In fact, Miller even has a brand new song that came out today Friday, November 16th titled “Wait For You,” which will, without a doubt, skyrocket straight to the number one spot on the music charts. Aside from working on his incredible songs, Jake Miller is also keeping busy with his brilliant performances. He is slated for several concerts this holiday season and he never fails to blow everyone away and mesmerize the crowd with his unrivaled and spectacular talent. Jake Miller always shows how much of a true and genuine musician he is. He is someone who will continue to revolutionize the music industry. With his creative lyrics, his exceptional beats and his incomparable stage presence, it’s obvious that Jake Miller was destined for stardom and destined to touch and impact the lives of many with his musical gift. 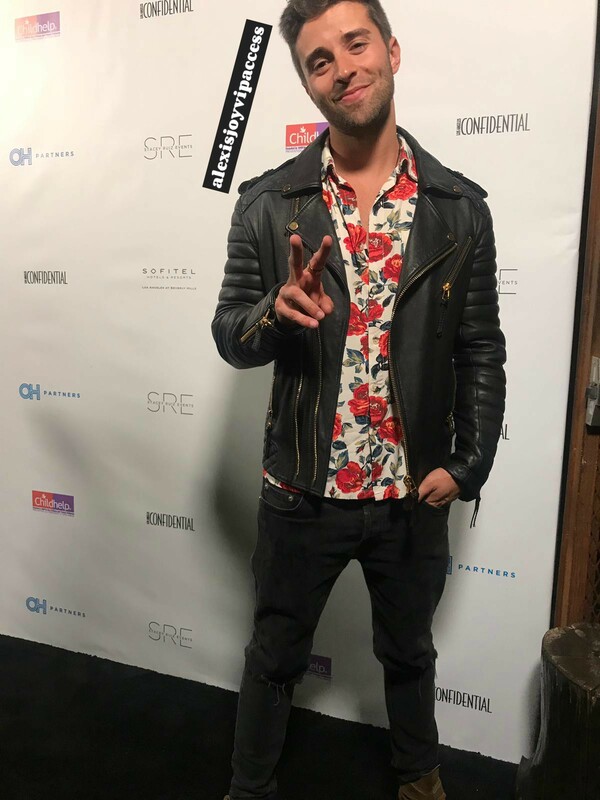 I, Alexisjoyvipaccess had an excellent time covering Childhelp’s Hollywood Heroes Benefit event and had a terrific time interviewing Jake Miller again at the event. Jake Miller dished exclusively to Alexisjoyvipaccess all about his new single “Wait For You,” what it was like for him to have shown his support at the inspiring event and so much more only in our VIPAccessEXCLUSIVE updated interview. Jake Miller even revealed what is the best holiday gift he’s ever given – hear what he had to say in our VIPAccessEXCLUSIVE updated interview below. Thanks for another awesome interview, Jake! Check out my VIPAccessEXCLUSIVE updated interview with the magnificent Jake Miller at Childhelp’s Hollywood Heroes Benefit event below! Previous VIPAccessEXCLUSIVE: Laura Marano Interview With Alexisjoyvipaccess At Childhelp’s Hollywood Heroes Benefit Event! Next VIPAccessEXCLUSIVE: Director Michael Dweck’s “The Last Race” Is An Adrenaline-Filled, Incredible Documentary That Everyone Should Race On Over To See – RECAP Of The Special Screening Event Here!